- Have you purchased your raffle tickets yet? 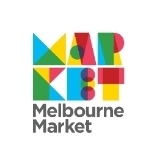 Have you purchased your Melbourne Market Charity Golf Day raffle ticket yet? The raffle is open to everyone in the Market, and with a huge prize pool valued at over $40,000 you don’t want to miss out. The top prize is a brand-new car! 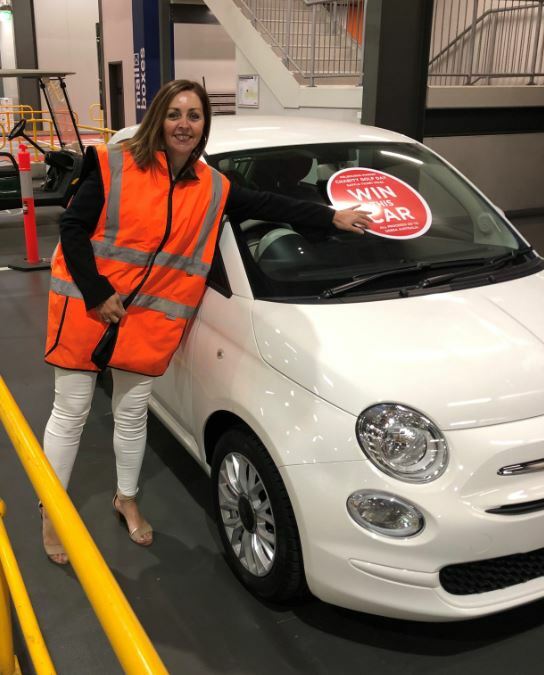 A Fiat 500 1.2 POP-S26 valued at $26,000! There are another 23 prizes to be drawn as part of the mega raffle including seats in an MCC corporate box, and a $1500 travel voucher. Click here to see the full list of prizes on offer. Raffle tickets can be purchased at, 1 for $50, 3 for $100 or 8 for $200 from the Customer Service Centre or Fresh State office. The MMA is now offering a free Wi-Fi service across the entire site for all Market users to take advantage of. 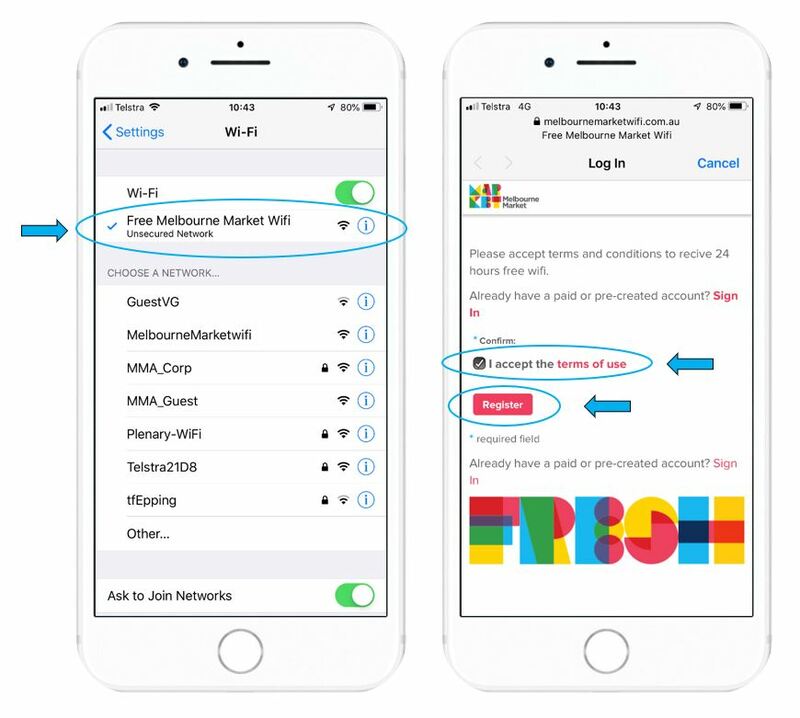 The free Wi-Fi has a simple two-click registration process with no need to enter any personal details. Once registered, a user will receive 24 hours free Wi-Fi which can be re-activated after each 24-hour period. The MMA have listened to user feedback and introduced this new, easy-to-use service, to make doing business at the Market easier and more efficient. 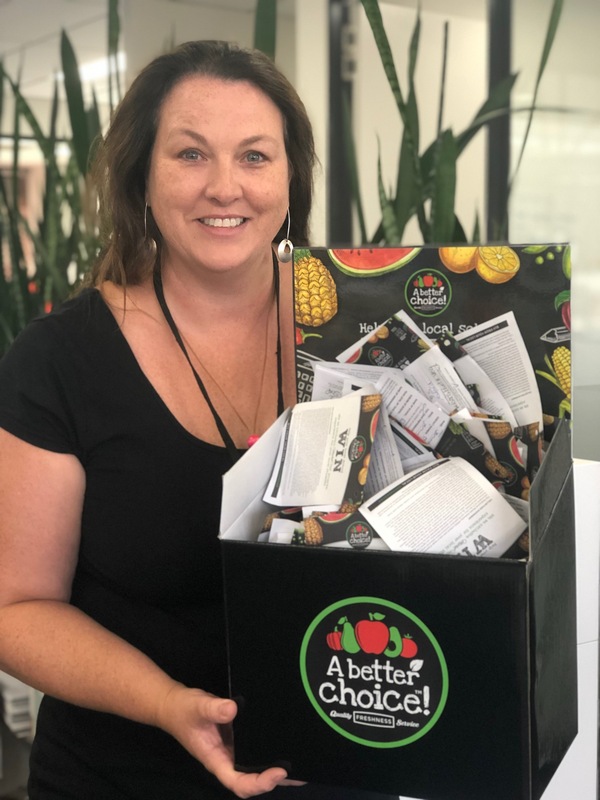 A Better Choice recently ran a back-to-school competition with member greengrocers, allowing their customers the chance to win one of ten MarketFresh school incursion programs for their local/nominated school. All members were supplied everything they needed to conduct the competition; including entry box, entry forms, terms and conditions and promotional posters. All the stores needed to do, was tell their customers. The competition received hundreds of entries from around Victoria. We have some very excited winners and our participating greengrocers are happy to be helping their community and providing the opportunity for local students to learn more about fresh produce. Thank you to all A Better Choice greengrocers who participated in the competition. It will be the first of many promotions, offers and marketing material on its way to A Better Choice stores. Did your local school miss out on a winning entry? 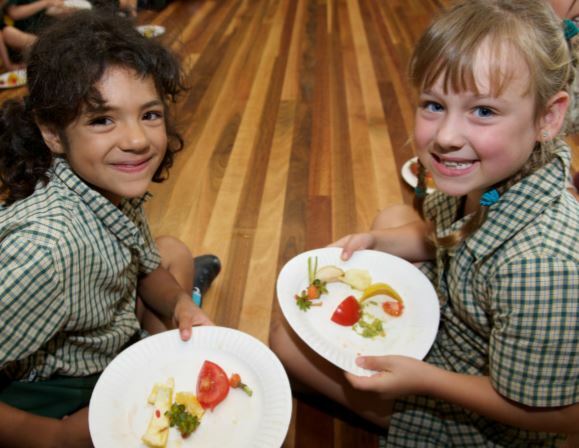 Did you know greengrocers are able to sponsor a MarketFresh incursion for their local school? Book by calling 9258 6193 or click here to find out more. Not a member of A Better Choice yet? Book an appointment to have someone visit you in-store to tell you about the program. Click the button below. This week we talk to Sam Ghouneimy. I am a Market Relations Officer (MRO) and I’ve worked at the Market for over 12 years now. My daily duties include helping keep everyone safe and assisting Market users with any problems they may encounter during their day, like solving parking issues, giving first aid and escorting visitors. I am honoured to work here, I enjoy coming to work each day and seeing all the friendly faces. I would bring watermelon to keep me hydrated as a watermelon is 92% water and will keep me going. I would bring a cucumber as it provides potassium, magnesium and is very healthy for the skin. I would bring cherries as they lower the risk of heart disease and are very juicy, nutritious and delicious. The last time I bought flowers was for my mother when she was recently in the hospital, the flower I chose was beautiful lilies. I would love to see my uncle from Canada again, I haven’t seen him for a number of years, and the last time I saw him was in Egypt, my home country. I most enjoy the relationships between all people in the Market. I love talking to everyone and have made many friends over the years. I enjoy the spirit of friendship and the good-natured banter that happens every day. 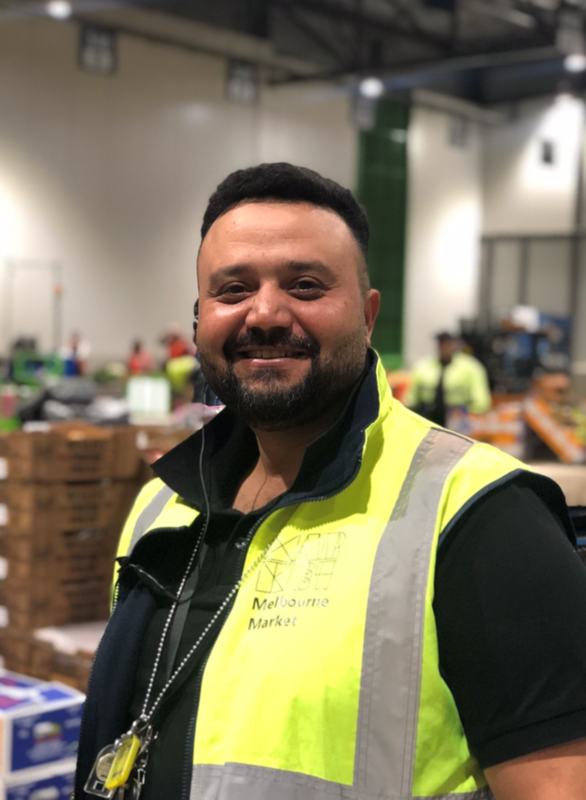 Nutrano Produce Group will be conducting demonstrations with free samples in the Market on Thursday 7 March between 3:30am to 7:00am to celebrate the launch of Halos mandarins in Australia. 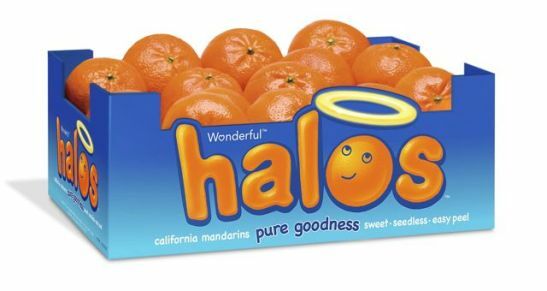 Halos mandarins are grown in sunny California and are hugely popular in USA for being sweet, seedless and easy to peel. For a limited time, Halos mandarins will be available at Nutrano Produce Group at store 107. For wholesale orders please contact Oliver Murray 0409 999 754 or Mano Babiolakis 0413 482 158. You can read more about the launch of Halos in Australia at Produce Plus. The Market will be closed for the Labour Day public holiday on Monday 11 March. There is no change to Market trading hours on the days before or after the public holiday. If your parking permit only allows access on the Monday, and you would like to come to the Market on an alternative adjacent day (in this case Friday 8 March or Tuesday 12 March), you will not be charged for parking and can enter the Market. However please note, your regular bay may not be available. Please see a Market Relations Officer on arrival for instruction. Tracking devices have been placed on mangoes in a bid to deliver a better quality of fruit to consumers. A network of sensors are being attached to fruit trays and pallets to track tens of thousands of mangoes on their journey from the farm to the retailer. The sensors will time stamp the fruit as it’s boxed, then provide real-time data feedback on temperature and humidity. This data aims to help those along the supply chain better understand how various factors influence the quality of the fruit that ends up on consumers’ plates and provide retailers more information to help them reduce fruit spoilage and waste. Click here to read more at Good Fruits and Vegetables.